We are excited to announce that we will be hosting the Greater Nashua Chamber of Commerce’s Business After Hours event on Wednesday, June 13, 2018, from 5:30 to 7:30 p.m. If you enjoyed our Business After Hours events in June 2014 and 2016, you won’t want to miss this one! 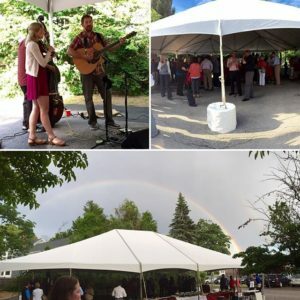 Join us for a fun outdoor event complete with delicious food from Giovanni’s Roast Beef and Pizza, beverages, networking, and music from local band Rockspring. The event will take place in the parking lot at our office, which is located at 11 Concord Street in Nashua. There will be plenty of parking available at Concord Street Motors, located at 15 Concord Street, First Church, located at 1 Concord Street, and on nearby neighborhood streets. There will also be several raffle prizes, including Red Sox tickets. There is no cost for our guests or Chamber members; the non-member cost is $15. Click below to send us an email now to let us know you’ll be there! The Greater Nashua Chamber of Commerce holds a Business After Hours event once every month. These welcoming events serve as a gateway to connect and expand relationships, win over new customers, and spread your message. Don’t miss out on this fun opportunity for strategic introductions and to get to know your community. Eaton & Berube is a local, family-owned insurance agency that has been serving New Hampshire residents for more than 75 years. Located in Nashua, N.H., the agency offers flexible coverage options and competitive rates on auto insurance, home, business, equine/farm, professional liability, and medical malpractice insurance. Call 800-660-5362 or click here to get a free quote today.